The Poncan Theatre presented The Great Big Band in “Christmas in Jazz” on Dec. 9. 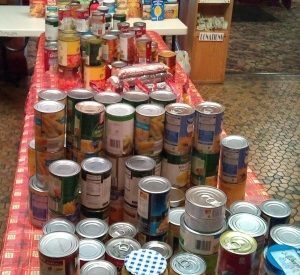 Admission to the free concert was canned goods, which will be shared with the community during the Christmas season. 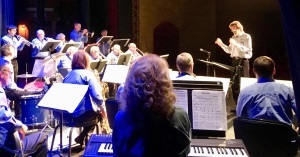 The Great Big Band, conducted by Kendale Benton, was first organized in 2004 under Bill Rotter in Perry, Oklahoma. The band stayed together after Rotter’s death and continues to perform a benefit concert each Christmas season.